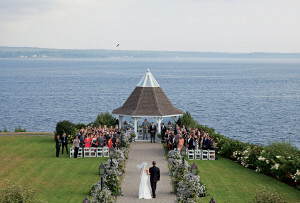 With a backdrop of Boston and rolling lush hills, this golfing destination in Quincy is the perfect South Shore wedding site. By Cheryl Fenton·	 11/16/2015, 8:00 a.m. Soon two wedding bands will link you with your beloved. 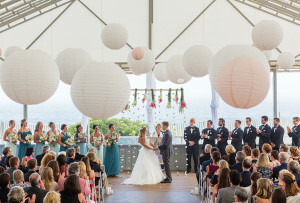 Why not celebrate that concept and host your gorgeous day on the links? Perched atop the famous Quincy Quarries, the Granite Links Golf Club keeps the city in the background and puts your wedding at the forefront for an amazing celebration. Just minutes from downtown Boston, this grand site is 300 feet above sea level. Translation? There are amazing vistas in every direction you turn. 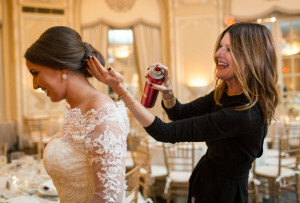 With breathtaking views of the Boston skyline set against the lush green of the golf course once named to Golf Digest‘s list of “America’s Top 100 Golf Courses,” here’s a glimpse into this one-of-a-kind wedding experience. 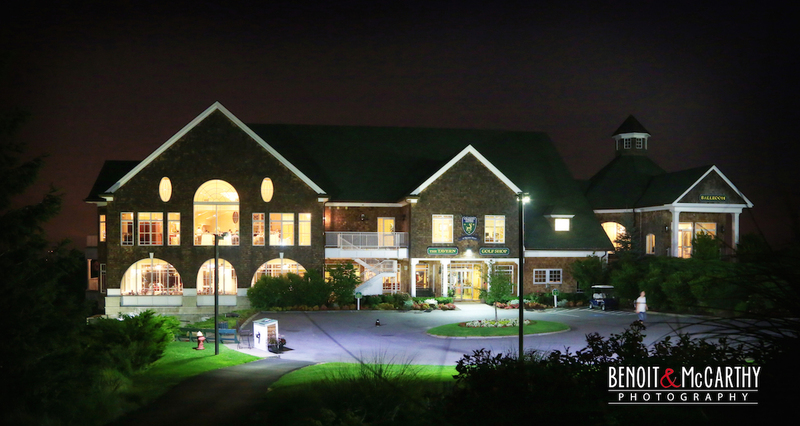 This Quincy golfing destination offers two unparalleled locations for your wedding reception—the Grand Ballroom and the Pavilion Tent. 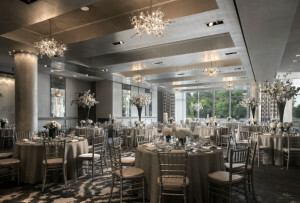 The Grand Ballroom, an elegant space for between 50 and 350 guests, boasts floor-to-ceiling windows that frame stunning views of the Boston skyline and Harbor Islands. 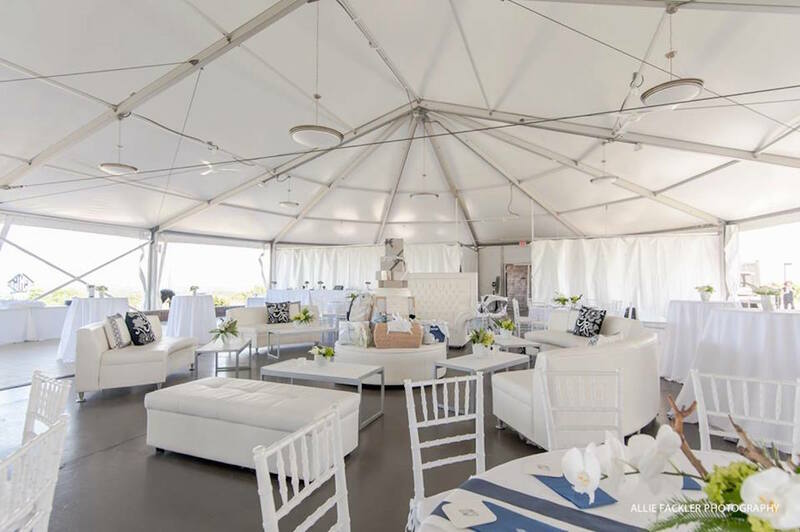 The gorgeous Pavilion Tent is located at the pinnacle of the property, overlooking the rolling hills of the golf course and the city skyline, for weddings from 50 to 200 guests. The catering team at Granite Links Golf Club is led by Executive Chef David Todisco, and he works to create your menu using the freshest ingredients. Even the sauces on your dishes are hand-crafted from scratch. No matter the wedding package you choose, there’s special treatment in your future. You’ll have a private wedding suite filled with pre-ceremony snacks and beverages, complimentary champagne for the wedding party during photos, and a golf cart shuttle to take you throughout the property for those keepsake shots. Instead of just looking at the course, you’ll also enjoy it with 18 holes of golf for four players. They even help you stay in shape with eight fitness training sessions with Inside Out Fitness. Granite Links Golf Club is located at 100 Quarry Hill Drive in Quincy.